It's a huge part of my role at MyDomaine to document micro-trends (and the major ones too) from the number one hue taking over fall 2018 to the paper lantern trend cool girls are losing it over, but reporting on them versus actually buying into them are two very different things. Don't get me wrong, I'm a sucker for a trend just as much as the next person, and I love watching them sweep in and out of our homes and closets, but I'm careful about which ones I follow and add to cart. My trick? I keep a tab open on my phone with the product of a certain trend I'm loving. Then I go home and see if it will blend in with the other pieces in my Los Angeles apartment and more importantly if I have room for it. If I'm still not sure, but I love the trend, I'll leave it open in my phone for another week or two and then check in again to see if I'm still hyped on it or if the buzz has died down. It's turned out to be a successful strategy for me, and my wallet. But some trends come into vogue that aren't entirely new but are having another moment in time. Case in point, the mushroom lamp. 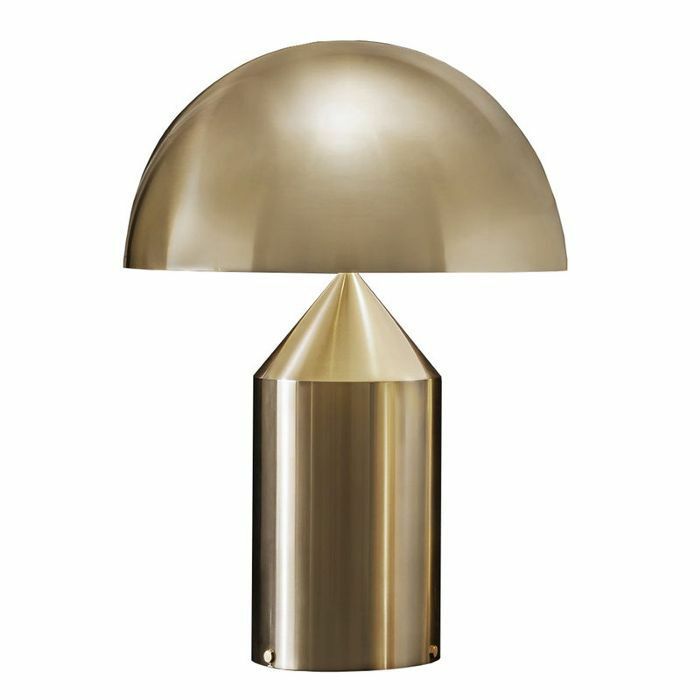 The classic Atollo lamp was designed in the 1950s by Vico Magistretti, but it has stood the test of time and is still favored by many interior designers and design aficionados alike. 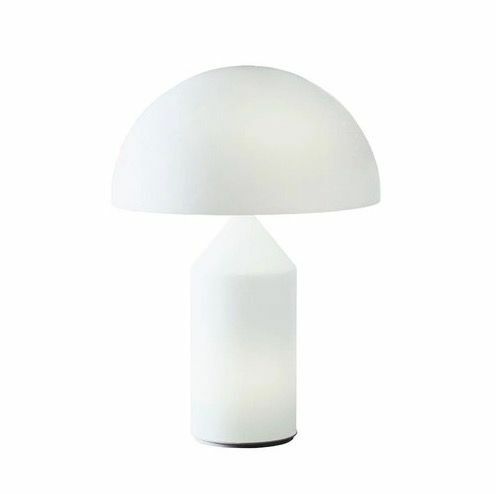 Another style in the mushroom lamp category is the Snoopy lamp by fellow Milanese designer Achille Castiglioni, who also rose to popularity in the '50s. To see both of these styles back in the zeitgeist is exciting, and I'm currently planning a budget (and a corner at home) to have one of my own. I'm leaning toward the glossy black or brushed gold. Read on to see how the mushroom lamp trend is styled across various rooms and shop one for your own home. This dining room is so eclectic and fabulous with handmade ceiling lamps over the table and decorative art in the background. But it's the Snoopy lamp that really catches our eye here. Bring some visual interest and classic cool to any room with this statement piece. This contemporary living room has a Scandinavian vibe and features two of the mushroom lamp styles. The Atollo on the credenza and the Snoopy on the window sill. We can't think of a more stylish way to light a room, and two mushroom lamps are always better than one. 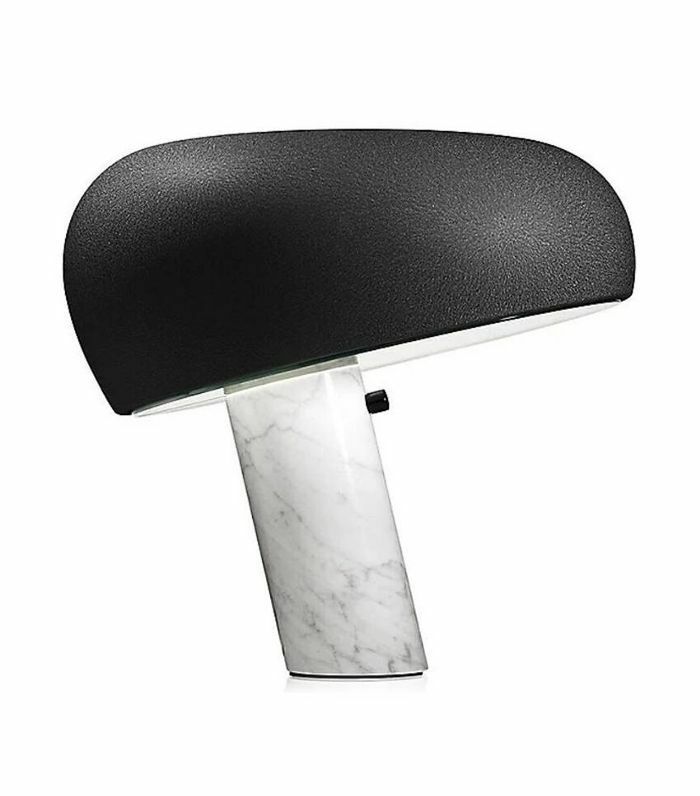 The Atollo also comes in white and has a warm glow when it's lit up. If you have a minimal eye for design and are looking to create a zen bedroom, then the Atollo lamp is your perfect companion. It really adds a hint of color and glam to this sleep chamber's moody corner. This one features in the chic Parisian bedroom of a project by one of our favorite interior designers, Jean Charles Thomas. We also spotted the gold version in H&M Home's Spring 2019 campaign. It gives this neutral room a little sparkle and class. 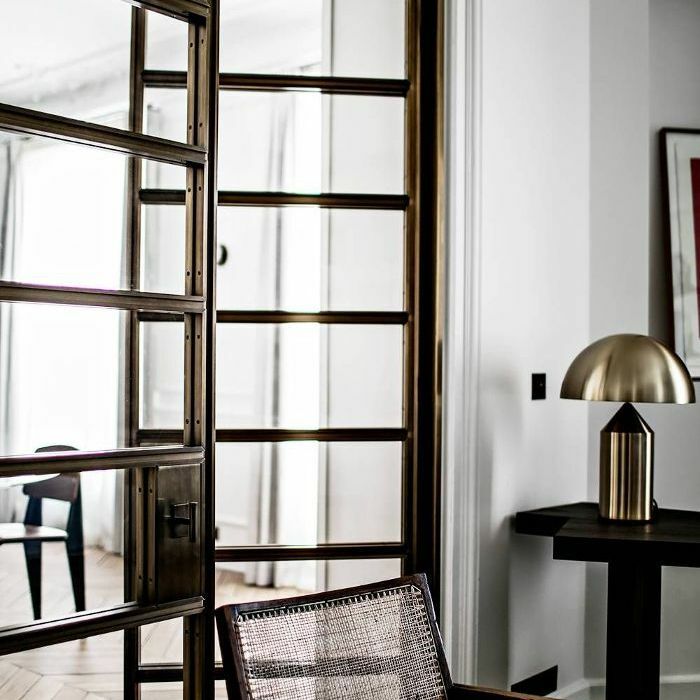 The gold really adds a touch of glam and sophistication to any space. This contemporary living room has a black Atollo lamp tucked into the corner to bring added depth and dimension to a dark space. 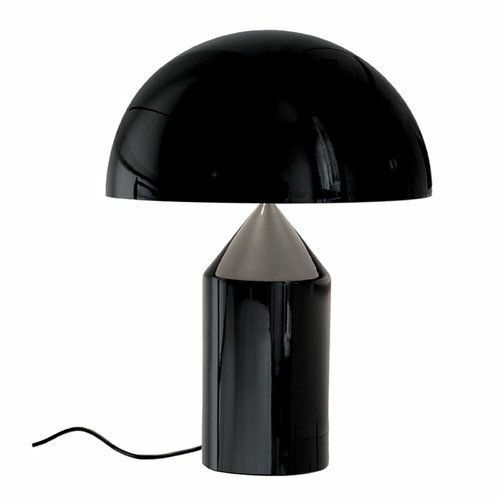 Opt for the black Atollo for its glossy and sleek finish. When NYC-based Australian interior designer, Tali Roth first shared her apartment with us, we swooned hard. This living room has a cool curation of art and decorative objects, but we couldn't go past the stunning Atollo lamp in the most perfect glossy rust hue. She told us this vintage piece was an eBay score. We haven't able to track one down just like it, so we'll have to just look and lust. 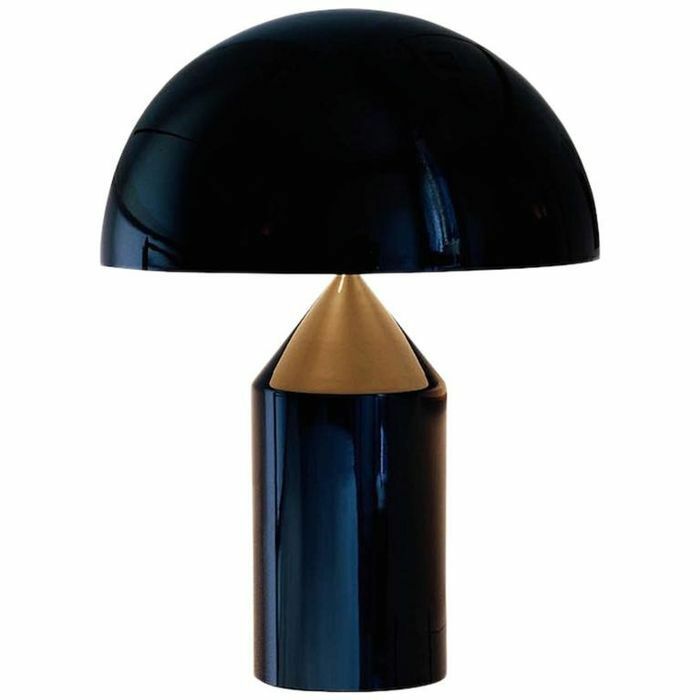 If you want to mix it up, then opt for this black version with brass accents. For those who want to extend their love of the mushroom lamp trend to another level, then we will happily feed your obsession. This cool midcentury floor lamp brings the look into your living room to add a touch of classic flair to a modern setting. 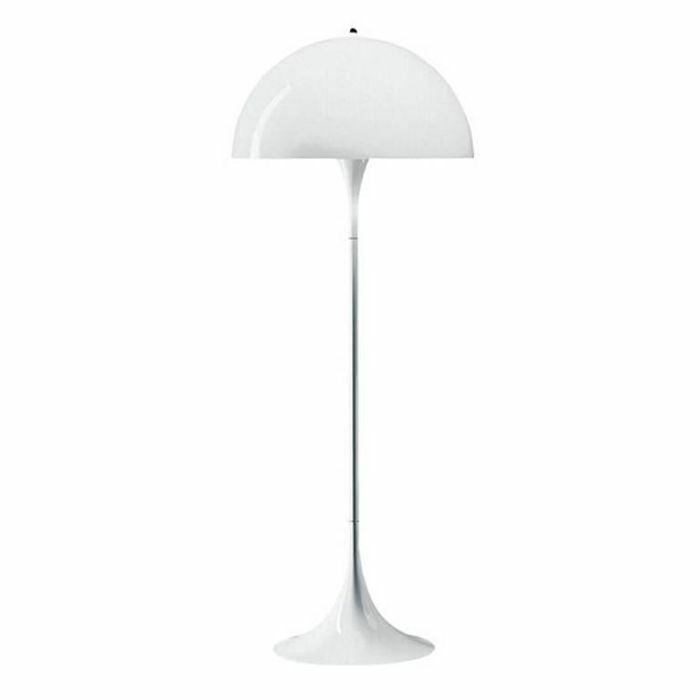 It doesn't get much cooler than this mushroom floor lamp style. Mix it in with contemporary furniture and architecture to give the space an updated traditional feel.